We are presenting new look Baby cradle. 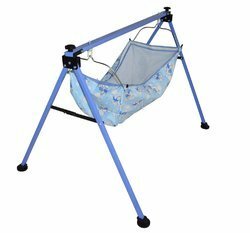 we have been able quality assured range of Folding Baby Cradles (Ghodiyu) . The procured from the reliable vendors of the to design these swings in compliance. - Made from heavy duty stainless steel pipes. - Folding size 2 ft & 4 ft.
With hard-earned experience of our adept professionals, we offer a precisely manufactured Folding Cradles. 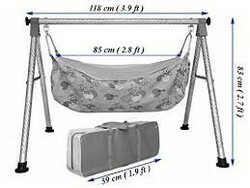 Multicare Surgical Products Corporation is manufacturer of Baby Cradle. - M. S. tubular pipe. - Stand fitted with PVC stumps. We are provided s.s. folding ghodiya with cotton khoya and angles. Best of trawels.